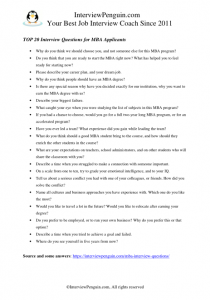 20 Questions You May Get in MBA Interview in 2019 - Ready to Answer? Before you can benefit from your MBA degree, you have to earn it. And even before you have a chance to earn it, you have to get accepted to the study program. What questions will they ask you during the admission interview? 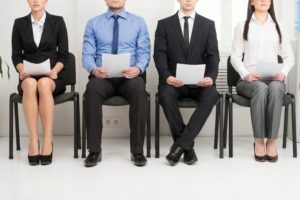 How to make a good impression on the people sitting in the interviewing panel? And how to prepare for this challenging experience? Why do you think we should choose you, and not someone else for this MBA program? Tell them about your skills and experience, and also about things you plan to do once you earn your degree. 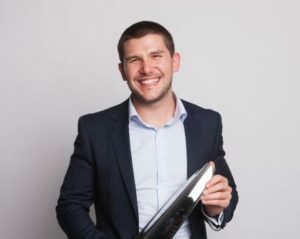 Show them that you will be one of the graduates they can be proud of, someone who will help them with their reputation–doing good and important work as an MBA graduate. Do you think that you are ready to start the MBA right now? What has helped you to feel ready for starting now? Show them that you did your homework, that you understand the study program, and what will be expected from you. Tell them about your schedule, and ensure them that you are ready to devote most of your time to your MBA studies, and that you consider them your first priority. Please describe your career plan, and your dream job. Show them how the MBA degree relates to the job you want to have, to your dream job. Every responsible person has some plans. Tell them about your plans and goals for the future, about the things you want to achieve later in life. Why do you think people should have an MBA degree? Do not refer to the prestige of the degree. Talk rather about the practical application of your knowledge, either in a corporate environment o r in your own business. Emphasize the advantages of this degree when we compare it to other degrees. Is there any special reason why have you decided exactly for our institution, why you want to earn the MBA degree with us? This is your chance to praise them for their study program, their reputation, their teachers. Simply for anything the distinguishes them from the rest of the pack. And if you can not find such a characteristic, go for a good location of the school. Or for any other reason which makes it more convenient for you to study with them, and not with some other educational institution. Describe your biggest failure. We learn in difficult times. Speak calmly about your failures, and tell the interviewers about the lessons you learned when things did not go your way, and how the lessons helped you to become stronger, and smarter. Turn your biggest failure to one of the most important moments of your life! What caught your eye when you were studying the list of subjects in this MBA program? Answer to this question is subjective. But you should say something, since it demonstrates the fact that you have actually researched about their study program, and have a good reason for your application. If you had a chance to choose, would you go for a full two-year long MBA program, or for an accelerated program? Have you ever led a team? What experience did you gain while leading the team? What do you think should a good MBA student bring to the course, and how should they enrich the other students in the course? What are your expectations on teachers, school administrators, and on other students who will share the classroom with you? Describe a time when you struggled to make a connection with someone important. On a scale from one to ten, try to grade your emotional intelligence, and to your IQ. Tell us about a serious conflict you had with one of your colleagues, or friends. How did you solve the conflict? Name all cultures and business approaches you have experience with. Which one do you like the most? Would you like to travel a lot in the future? Would you like to relocate after earning your degree? Do you prefer to be employed, or to run your own business? Why do you prefer this or that option? Describe a time when you tried to achieve a goal and failed. The interview is typically a combination of personal questions and behavioral questions, and a few tests (personality test, IQ test, short case study, etc). Alternatively, at colleges that aren’t prestigious, the interviews can be short, and you may not deal with any tests during them. Everything is a question of supply and demand. Which means, in this case, the number of applicants for the program. If 1,000 people apply for a study program, and they can accept only thirty of them (or even only ten), you can count with a lengthy admission process, with many behavioral questions, and also with some test. On the other hand, if fifty people apply, and they want to accept thirty of them, the interviews will be more simple and straightforward. Continue your preparation for the big day with Interview Penguin, and learn how to ace your interview! Leadership interview questions – An essential skill for every good manager, your leadership skills may be tested in an interview for MBA course. Are you ready to demonstrate your skills in your interview answers? Interview success package – Brilliant answers thirty common and tough interview questions. A great read for every responsible job seeker.